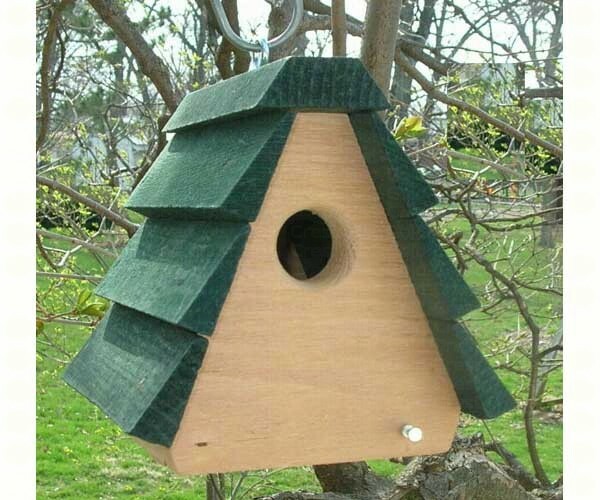 A Frame Wren Birdhouse With Green Roof-BEST PRICE! Very attractive wren house with green roof and priced right! Floor pivots down for easy cleaning. Can mount with screw or hang. 1 1/8 inch entrance hole. Buy several and keep the wrens nesting in your yard since wrens sometimes build nests and abandon them if mom don't approve and move on to the next one.